Sean Rafferty presents, with guests including musicians from French early music group Ensemble Correspondances and pianist Lars Vogt. 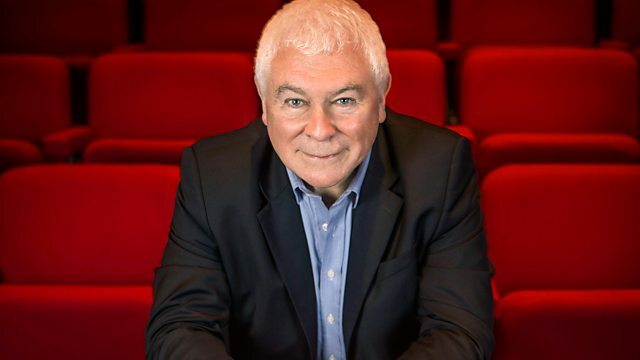 Sean Rafferty presents a lively mix of chat, arts news and live performance. His guests today include musicians from French early music group Ensemble Correspondances, who perform live in the studio before two concerts at the London Festival of Baroque Music. Pianist Lars Vogt also plays live for us before giving a solo recital at Wigmore Hall and then heading to Bath Festival where his orchestra, the Royal Northern Sinfonia, has a mini residency. Plus playwright and singer Clare Norburn tells us about her latest project 'Into the melting pot', which plays at the Omnibus Theatre in Clapham this weekend and Stroud Green Festival next month. Performer: Rachel Roberts. Performer: Lars Vogt. Brahms: Viola Sonatas Op. 120: Rachel Roberts/Lars Vogt. Performer: Wynton Marsalis. Music Arranger: Donald Hunsberger. Ensemble: Eastman Wind Ensemble. Conductor: Donald Hunsberger. Orchestra: Ensemble Pygmalion. Conductor: Raphaël Pichon. Music Arranger: Felix Mottl. Singer: Nina Stemme. Orchestra: Swedish Chamber Orchestra. Conductor: Thomas Dausgaard. Choir: The Cardinall’s Musick. Conductor: Andrew Carwood. Orchestra: Iceland Symphony Orchestra. Conductor: Petri Sakari. Performer: Susan Manoff. Singer: Sandrine Piau.